The front-end section of CMNTY Platform allows for a high degree of design customization. You can easily swap out a header image and logo to help you brand your community. You can choose menu background and text colors. The Platform Template allows you to make some basic changes to your platform design. 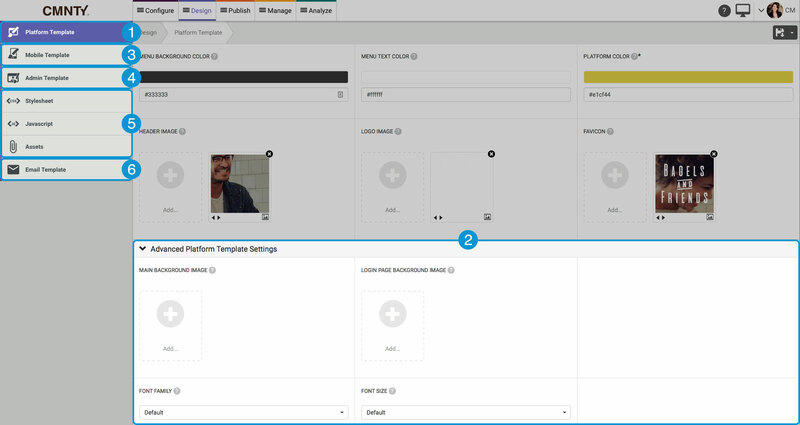 Learn more about some of the basic CMNTY Platform design customization options you have here. The Mobile Template allows you to customize the mobile view of your CMNTY Platform. You can learn more about those capabilities here. Be sure to look at the tooltips to see which image sizes are recommended. Advanced plan only: The Admin Template allows you to change the design of the admin home page. Learn more about those options here. The Email Template allows you to adjust the branding of platform newsletter emails. 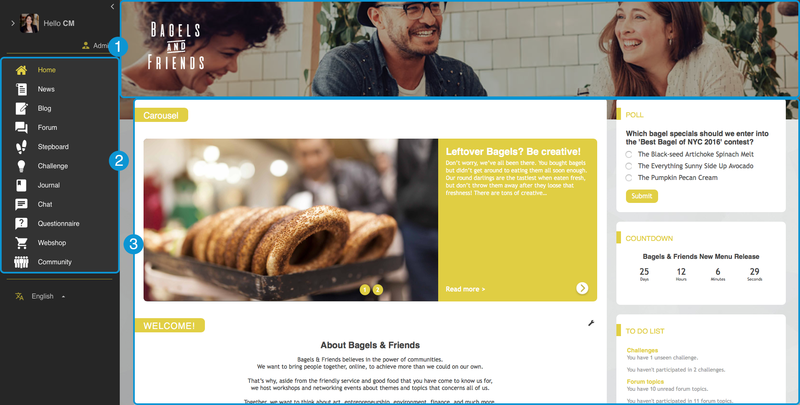 Learn more about how to customize your email template here.